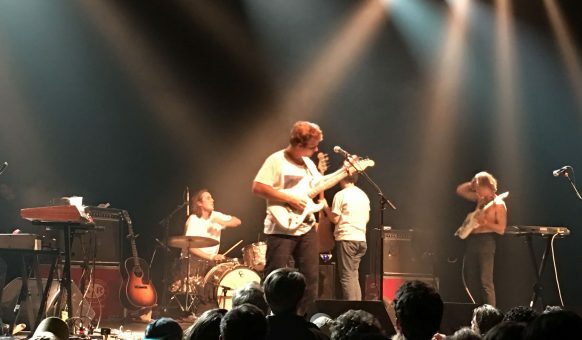 I was not sure I would be able to go and watch Mac Demarco because my kid’s school play was scheduled on the same evening which meant I would have to rush around as usual. But I’ve loved this guy, and all his albums, since the very beginning so I told myself I just had to go. Honestly, I was shocked to see that he filled the Metropolis two evenings in a row. After investigating a bit, I discovered that his album Salad Days was the cause of this surprising popularity, especially among the hipsters. The artist – who grew up in Edmonton – started his musical career under the name Makeout Videotape, a group that were also pretty well known back in the day. His albums are really worth taking the time to listen to, even the two before Salad Days. I particularly like the albums 2, and his most recent, This Old Dog which he brought out this year. I got to the show just in time for the first song, his biggest hit, Salad Days. 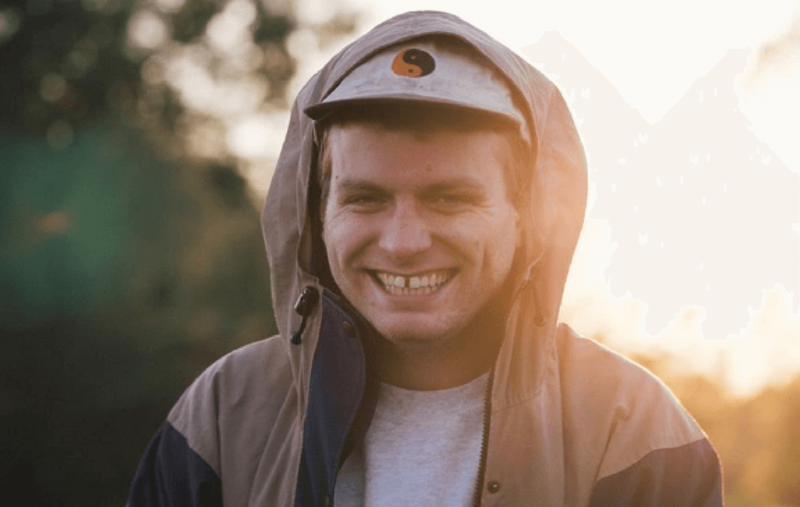 Mac Demarco was dressed in his normal relaxed style: cap, T-shirt, and chino’s. 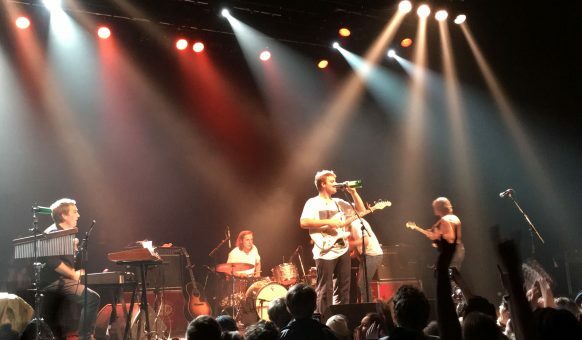 He continued the show with several popular tunes like, For the First Time, Another One, An Ode to Viceroy, Chamber of Reflection, and some of his new album. A crowd of people pulled out lighters during the song Another One, that’s when I knew for sure I was surrounded by a bunch of twenty-something hipsters. I was surprised that he didn’t play more from his new album, which is the usual practice for bands who are touring a new album release. Mac preferred to please the crowd though, and ended up playing a lot of his most popular songs. It happened to be the birthday of one of Mac’s friends and so he let the crowd know, leading them in a sing-along of the happy birthday song. The friend then took the opportunity to drink from a large pitcher before jumping off stage for a bit of crowd surfing. After that, a different audience member hopped on stage, and he also decided to take the surfing route back to the crowd. From that moment on, there was pretty much always at least one fan in or around the stage, dancing, singing, or taking selfies with Mac. Mac was himself in the partying mood, knocking back wine and liquor all night long. He also did a bit of body surfing himself while the band jammed out. Someone even dared me to get up on the stage and I accepted the challenge. Climbing on just in time for the last song. 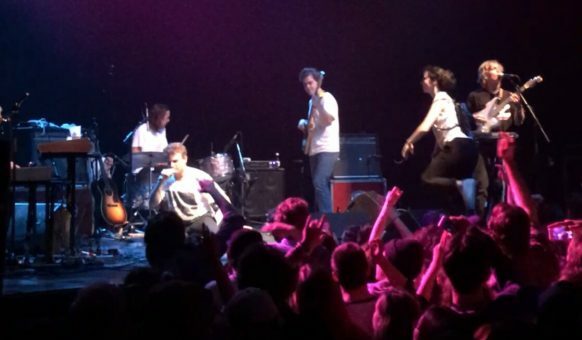 Mac asked a small group of us on the stage to wait in a certain position until the drums kicked in when they did we all jumped off stage in unison. A phenomenal end to the show! At the end, Mac came back to the stage for an encore, playing Metallica’s Enter Sandman. Wow! At this point of the show, he was pretty wasted, but he handled this famous tune with aplomb, even kick starting a mosh pit! He played a couple more covers, Butterfly by Crazy Town, and some 90’s tune I can’t remember but I’m pretty sure it was either, Alanis Morissette or Jewel. Shazam failed me when I tried to identify what Mac was singing, probably because he was making up his own lyrics as he went along. 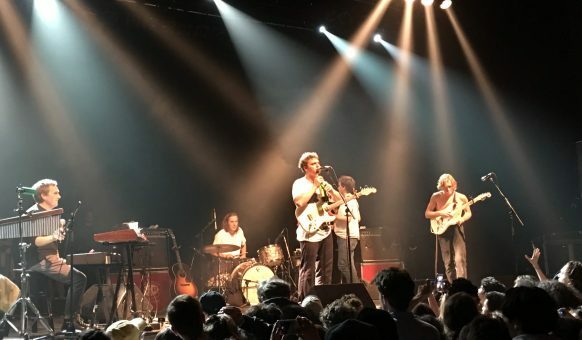 Throughout the evening, I really enjoyed the energy and stage presence of Mac Demarco. I thought it was excellent how he lets his fans get so close-up without complaining about it, even if he did push a couple of people who were jumping on stage to crowd surf. He was clearly hot and bothered by the end of the night, but, in my opinion, it did nothing to affect the quality of the show. Just the opposite, it added, even more, energy to the performance.